This is a lager version of a toy steam engine. These engines are built for children or to show how a steam engine works in schools. They used them before WWII. 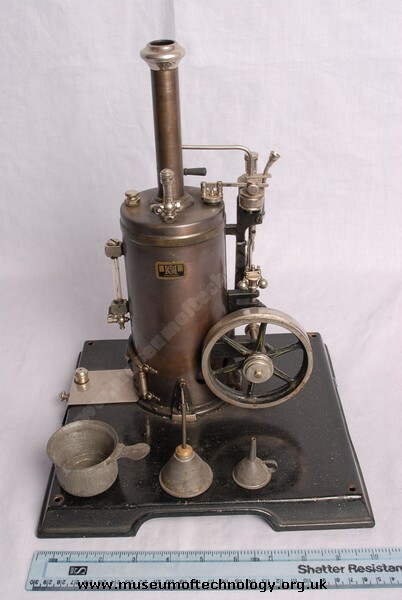 This vertical steam engine is build by the Gebr�der M�rklin of G�ppingen, Germany.